Retro 1951 has vastly expanded their fine 1.15mm pencil offering. Pencil lovers know that these 1.15mm writers are enjoyable due in part to the strength of this thickness of graphite. Not too thick and never as breakable as typical graphite sizes. Just as smooth as their rollerball cousins, these 1.15mm pencils operate with a simple twist of the top, plus, there is a huge eraser under the top for those who might make an occasional mistake. The newest addition is the Dmitri. It joins best sellers like Crossword, Albert, Dr. Gray and Ice Blue. 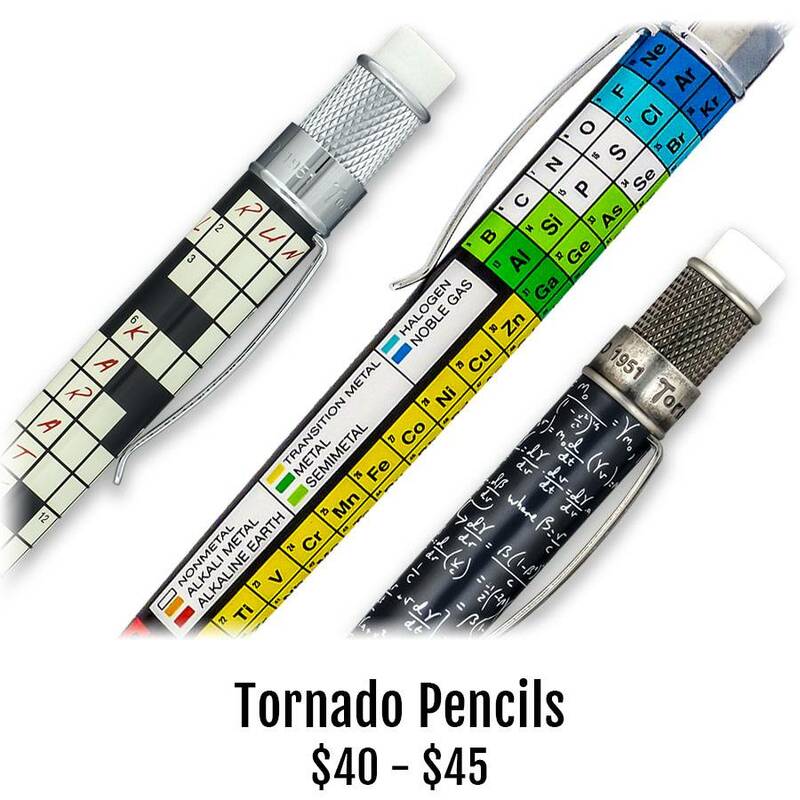 Add some extra erasers and refills and it makes a great gift for the crossword devotee.